The Invisalign aligners, also referred to as clear aligners, are orthodontic near-invisible devices that are custom made for the patient. They are made as a tailored transparent form made of special plastic dental “braces” used to slowly move and adjust teeth into the desired position. Because the Invisalign aligners are nearly invisible when worn over the teeth, they are preferred by adults and teenagers as they don’t draw attention. 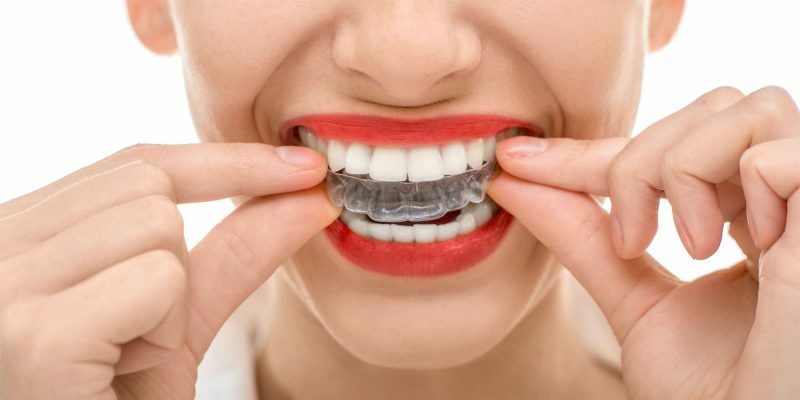 Invisalign aligner treatment involves an experienced dentist or an orthodontist to take a mould of the patient’s teeth. But more advanced cosmetic dental practice like ours uses a digital imaging system, which is deployed to create a digital teeth scan. Another unique computer software created by Invisalign suggests stages between the current and desired teeth positions, and with the inputs of the dentist allows to determine the set of Invisalign aligners that are created for each stage of the treatment. It is recommended that each aligner be worn for at least 20 hours a day for two weeks. These aligners slowly move the teeth into the desired position that has been agreed between the orthodonist dentist and the patient. The duration of the Invisalign treatment depends on the severity of the starting point. If the teeth require major repositioning then it can take longer. On average, the treatment is about as long as it would be with the traditional metal braces. Book your initial appointment with us today. Invisalign is a tooth straightening treatment that uses invisible braces, called aligners, made of virtually see-through material. These aligners are custom made to fit on your teeth with the aim of gradually moving your teeth in position. Every two weeks the aligners are changed to nudge your teeth little by little. Invisalign has become popular because the aligners are comfortable, unnoticeable and temporarily removable. Invisalign helps you get your desired smile without disrupting your work or social life. Every member of our team is committed to providing excellent dental care in a calm, friendly environment. We are a dental practice, providing a wide range of cosmetic and general dental treatments.